Bringing hard copy tickets will speed up your entry (we can scan from your phone if required). We may require you to present an approved proof-of-age document to confirm you are aged 18 years or above. Approved proof-of-age documents must be valid, current and be one of the following; a New Zealand Photo Driver’s License, a NZ or overseas Passport or an HNZ 18+ card. The new revamped Wildfoods Festival means there is entertainment ALL DAY with no break. When the festival is over the guests will be invited to join us the beach to watch a spectacular fireworks display. 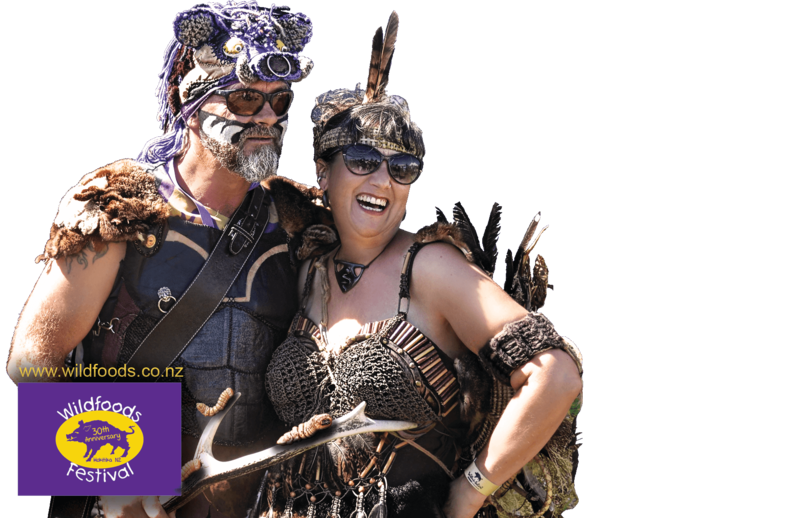 The Hokitika Wildfoods festival is a family-friendly festival, but you must be 18+ to drink alcohol. Children aged 15 years or below must be accompanied by a parent or legal guardian. Cash is King – while a small number of our exhibitors do carry EFTPOS, and ATM’s are provided on site, bringing cash will ensure you don’t spend the day in queues! By attending the festival you consent to be included in photography, film and sound recordings to be used by the organisers in any medium or context without further authorisation by or compensation to you. We have a diverse selection of food vendors, the beer & wine tent and non-alcoholic drinks available at the Hokitika Wildfoods Festival, so we’ll have everything you need – even coffee! Please be aware that homemade and commercial food and drinks are not permitted and will be confiscated at the gate. Don’t forget to pack your sunscreen, sun hats, and shades – or a poncho if the weather requires. Some shade is available around the venue, but as the event is outdoors, we are exposed to the elements throughout. Be a legend and offer to be your group’s designated driver. Make use of the nearby taxi or order a shuttle. Never drive to or from the event if you’ve consumed alcohol. A shuttle from Greymouth to Hokitika and return is running. Tickets available through your account on Eventfinda under merchandise heading. Traffic disruptions are likely immediately before, during and after the festival. Plan your route carefully and allow extra time when travelling to or near the Festival. The Festival is located at Cass Square, Hokitika. Access to the Hokitika Wildfoods Festival is on the corner of Weld and Bealey Streets. Don’t drive if you intend to drink alcohol. If you do have a designated driver, car parking is not provided at the festival venue. Please find free on-street parking on nearby Streets. The Hokitika Wildfoods Festival requests your support in reducing the impact our event has on our neighbours. Please be respectful when entering and leaving the venue and ensure litter is disposed of in the bins provided. There are a range of accommodation options in town including backpackers, motels, hotel, B&Bs and our designated Festival Campgrounds: Sunset Point, and Westland High School. The Hokitika Wildfoods Festival is a family friendly event. We have a large Kiddies corner with a range of bouncy castles and activities to keep families entertained for hours. The Wildfoods Festival is a non-political community event and does not permit any form of protest. Any protesters will be removed from the festival area and dealt with by security and police.